The Supreme Court bench comprising Justices Dipak Misra and Amitava Roy has on November 10, directed that Attorney General, Mukul Rohatgi, be intimated to assist the Court in a case involving the liability of intermediaries like Google, for the content posted on their sites by the account holders. The case pertains to the content posted by Ban Asbestos Network of India (BANI) and published on www.asbestosfreeindia.org. The web space is owned by Google, although it is just an intermediary, without any responsibility for the content posted by the account holders. 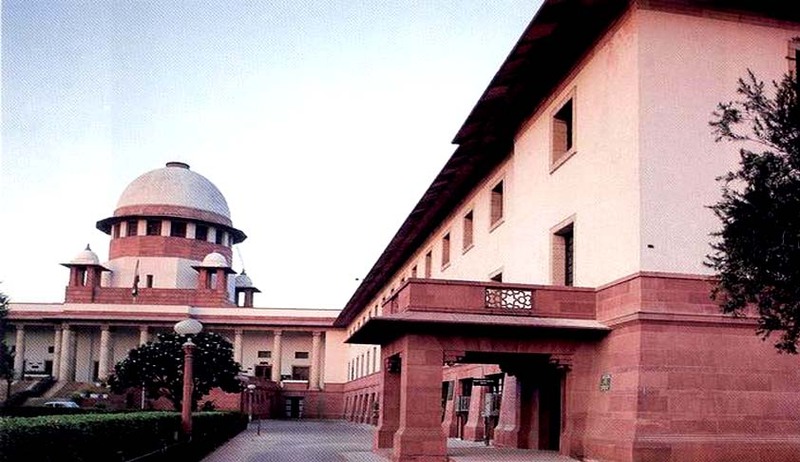 The respondent in this case is Visakha Industries, which is engaged in business of manufacturing and selling of asbestos cement sheets and allied products. Gopala Krishna is a coordinator of BANI, and regularly posts articles on BANI’s site. Visakha Industries alleged that one of the articles posted by Gopala Krishna, on behalf of BANI, in 2008, was defamatory. Therefore, Visakha Industries arraigned both Gopala Krishna and Google as accused for defamation. Both Gopala Krishna and Google were accused of offences punishable under Sections 120-B,500, 501/34 I.P.C before Additional Chief Metropolitan Magistrate, Secunderabad. It is contended by Google that actions of an intermediary, which is a service provider providing platform for end users to upload content, do not amount to publication in law and consequently the question of holding such intermediaries liable for defamation does not arise. Google relied on Section 79 of the Information Technology Act, 2000 in support of this contention. The provision exempts network service providers from liability under the Act, rules or regulations made thereunder for any third party information or data made available by him. It did not exempt a network service provider from liability much less criminal liability for the offences under other laws or more particularly under the Indian Penal Code. Further, the above provision exempts network service provider from liability, only on proof that the offence or contravention was committed without his knowledge or that he had exercised all due diligence to prevent the commission of such offence or contravention. Proof in that regard can be let in by way of leading evidence by the accused. Section 79 was amended in 2009, after which, an intermediary like a network service provider can claim exemption from application of any other law in respect of any third party information, data or communication link made available or hosted by him; provided he satisfied the requirements under Sub-section (2) of Section 79. Further, as per amended Sub-section (3) of Section 79, the exemption under Sub-section (1) cannot be applied by any Court and cannot be claimed by any intermediary in case the intermediary entered into any conspiracy in respect thereof. Also, the intermediary cannot claim exemption under Sub-section (1) in case he fails to expeditiously remove or disable access to the objectionable material or unlawful activity even after receiving actual knowledge thereof. “In the case on hand, in spite of the 1st respondent (Visaka) issuing notice bringing the petitioner about dissemination of defamatory material and unlawful activity on the part of A-1 (Gopala Krishna) through the medium of A-2 (Google), the petitioner/A-2 did not move its little finger to block the said material or to stop dissemination of the unlawful and objectionable material. Therefore, the petitioner/A-2 cannot claim any exemption either under Section 79 of the Act as it stood originally or Section 79 of the Act after the amendment which took effect from 27.10.2009. The present case in the lower Court was instituted in January, 2009 relating to the offences which are being perpetrated from 31.07.2009 onwards i.e., since long prior to the amendment to the said provision. The SLP, being heard by the Supreme Court, was filed by Google, against this verdict. Senior advocate, C.Sundaram, representing Google, contended before the Supreme Court bench on November 10 that an intermediary is like a delivery man of a newspaper, and therefore, cannot be held liable for the content. Senior advocate, K.V.Viswanathan, appearing for Visaka, however, disagreed, saying that the content cannot be defamatory. When asked by the bench why it cannot block defamatory content, Sundaram replied that Google cannot provide a key word like ‘defamation’ to block objectionable posts, as different posts are viewed differently by the readers. What is defamatory to some may not be so to others, and it is difficult to prejudge which may be defamatory, he suggested. How can Google be the judge of defamation, Sundaram asked. Justice Dipak Misra agreed that it is not auto-block, but ‘take down’ measures which are relevant here. Thereafter, the bench adjourned the matter to November 22, and directed intimation of the Attorney-General to assist the court on that day. In a communication dated September 22, 2016, Google has informed that it has restored Asbestos Free India site. This was in response to the message sent to Google team by Ban Asbestos Network of India (BANI), a sister association of Toxics Watch Alliance (TWA). The site was taken off public view following a complaint by a asbestos based company. The site http://www. asbestosfreeindia.org is now available for public view.